James L. Monteparte, 90, of Greensburg, died Sunday, Sept. 9, 2018, in Westmoreland Manor. 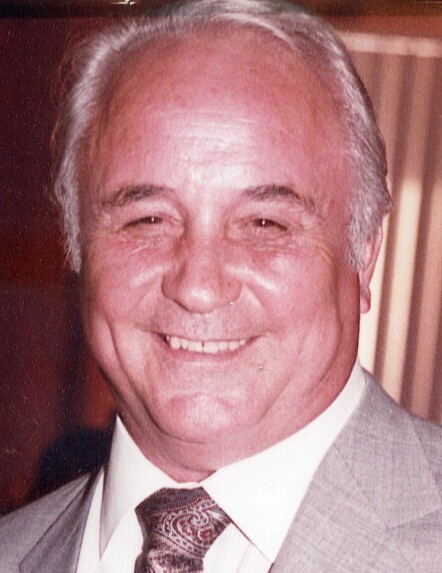 He was born April 16, 1928, in New Alexandria, a son of the late John and Florence Castranova Monteparte. James was the owner and operator of the former West Point Lounge and also was employed by Allied Vending. He was a veteran of the Army, and a member of Blessed Sacrament Cathedral and the VFW Post No. 33. In addition to his parents, he was preceded in death by his six brothers, Casper, John, Anthony, Frank, Joseph and Samuel Monteparte. He is survived by his loving and devoted wife of 67 years, Francis Laurica Monteparte; two sons, Vincent Monteparte and wife, Amy, of San Diego, Calif., and Ricardo Monteparte, of Greensburg; his granddaughter, Isabella Sofia Monteparte; and several nieces and nephews. Relatives and friends are invited to celebrate the life of James from 4 to 8 p.m. Wednesday in the CLEMENT L. PANTALONE FUNERAL HOME INC., 409 W. Pittsburgh St., Greensburg, PA 15601, 724-837-0020. Parting prayers will be held at 9 a.m. Thursday in the funeral home, followed by a funeral Mass to be celebrated at 9:30 a.m. in Blessed Sacrament Cathedral. Entombment will follow in Greensburg Catholic Cemetery Mausoleum. If friends so desire, memorial donations may be made to Leukemia and Lymphoma Society, 333 E. Carson St. No. 441E, Pittsburgh, PA 15219. James's family has entrusted his care to the Pantalone Funeral Home Inc., Greensburg. To share your memories and photos, offer your condolences, or for directions, please visit us at www.pantalone.com. Natale N. Pantalone, supervisor.